Apple has not made any official statement yet about a web-based music streaming service dubbed as ‘iRadio” it is rumored to launch this coming summer, but reports say that the company is making progress in the process of negotiations with record companies regarding licensing rights for content. Sources in the music industry has stated in a recent report by The Verge that Apple’s entry into the world of web radio is no longer a matter of ‘if’ but of ‘when’. The report further notes that Apple has made significant steps towards obtaining licensing rights from two of the music industry’s giant labels, Universal and Warner. A deal with the two labels is an additional advantage for Apple, which by itself already wields influence that it can take advantage of in pursuing any current plans it may have. Earlier reports indicated that Apple have had some difficulties in pushing its own web music streaming service through due to licensing issues. The recent news of the company making inroads with Universal and Warner is taken by industry insiders as a positive indicator that “iRadio” is coming soon. 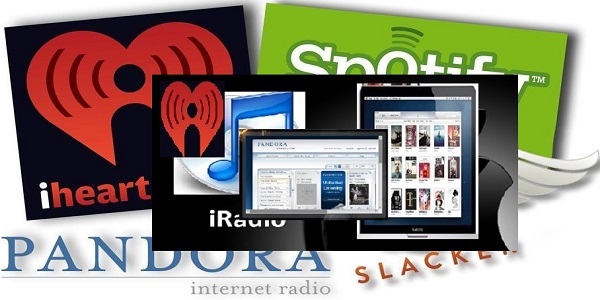 Considering that Apple’s devices are as ubiquitous as the company itself, and with iTunes being powerful and popular as it is, it is no surprise at all if the company is in a better bargaining position to push it’s “iRadio” amidst content providers’ concerns over royalty rates. The Copyright Royalty Board currently sets the rate to be paid by companies not owning any broadcast operations at 21 cents per 100 songs, but a report by the New York Post noted that Apple initially offered to pay only 6 cents to label companies for every 100 songs streamed. In contrast, Pandora, which is currently considered as the leading online music streaming powerhouse, pays 12 cents per 100 songs while iHeart pays 22 cents. Spotify even reportedly pays 35 cents per 100 songs streamed, which is 14 cents higher than the rate set by the Copyright Royalty Board. Label companies believe that Apple should at least pay the rate set by the royalty board even as its initial offer comes amidst moves by Pandora to ask Capitol Hill to lower the current royalty rates, the New York Post reports. Apple reportedly hoped to launch iRadio together with iPhone 5, but that it was forced to abort the plan. Considering that royalty rates was reported to have that much impact in causing delays in the iRadio launch, any progress in negotiations with the record label companies could indicate that Apple might have been convinced that its initial offer was too low to start with.